Award winning, professional gutter repair in Northern Virginia. Are your gutters in disrepair? If the answer is yes, a home-exterior professional should perform a detailed inspection of the gutter system, roof and home in order to answer the more urgent question; Is your home sustaining water damage? 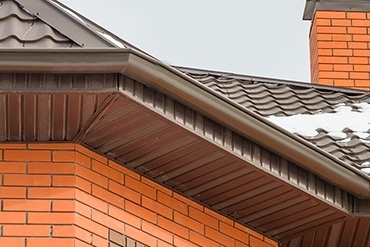 An well-maintained and efficient gutter system is a critical component for preventing water damage to a home’s roof, the interior spaces and the foundation. Water damage may manifest in the form of wood rot, mold and bacterial growth, paint and drywall damage, electrical-system damage, ruined insulation, cracked concrete and any other system, component or possession inside a home that is not supposed to get wet. Holes caused by rust or acidity erosion from vegetation decomposition. 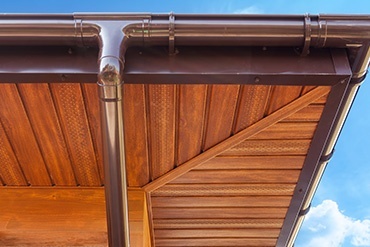 Sagging gutters hinder free water flow and promote water stagnation. Rust occurring in scratched or damaged steel gutters. Dents and damage caused by ladders, or the stress of heavy snow and ice. Disjointed gutter lengths falling down. Clogged gutters and downspouts spilling water onto property. Inspect the fascia board and sheathing for water damage. 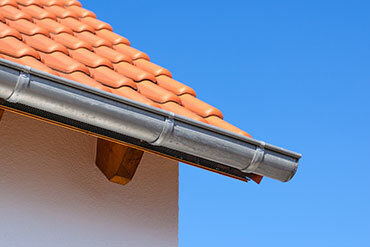 Inspect gutters for holes, sagging (standing water), rust and other damage. Inspect seams for wear and leakage. Inspect slope of gutter, and tighten straps as needed. 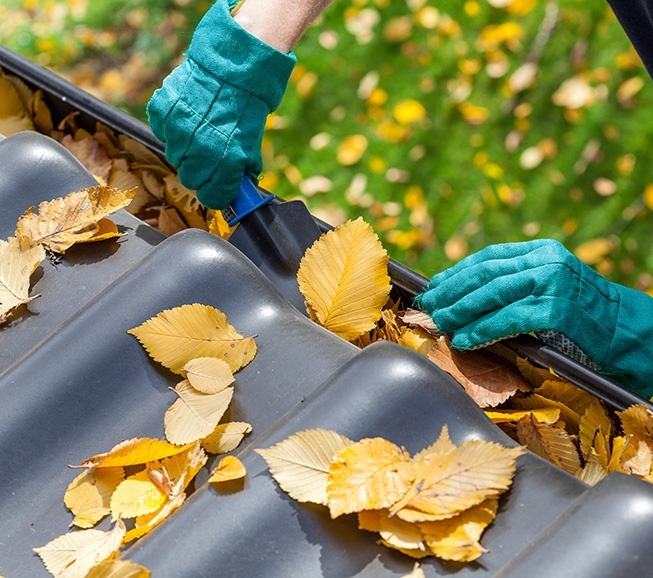 Perform thorough cleaning of the gutters and downspouts. 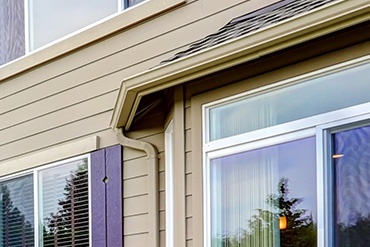 Gutter repair not only protects home and property, it enhances beauty and home value. 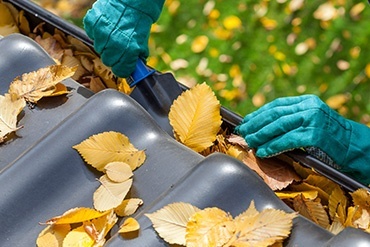 Gutter repair and preventive maintenance should be performed by a professional roofing contractorthat has the expertise to identify current or potential gutter issues, and water-damaged roofing, home and property. An experienced contractor asks pertinent questions regarding water drainage, previous gutter maintenance, roof maintenance, saturated landscaping areas following rain, moldy or musty odors inside the home and should request to inspect the attic area for signs of water leakage. The contractor should explain the benefits of metal gutter screens and covers to block leaves and other debris from entering the gutters and downspouts. The contractor should be familiar with rainwater harvesting systems, and explain its benefits for maintaining a “green” lawn and other uses for collected rainwater.